Across the globe, companies are adopting on-site preventive care so as to have a greater control over the existing cost of their health care services. On-site preventive care offers the administration of company, with treatment options for their employees. On-site Services help in reducing the rate of services used by the employees on off-site preventive care. They also help in reducing the risk of any future illness among employees by addressing their prayers and concerns. On-site preventive care provide vaccinations, physical check-up routines, and the screening of several Health issues such as hypertension and anxiety. Does help in identifying future risks. On account of the different types of service types offered by on-site preventive care such as chronic disease management, acute care, Nutrition management, wellness and coaching, and diagnostic screening, on-site preventive care is becoming extremely popular among organizations. One of the important factors helping the market for on-site preventive care to grow is the increasing incidences of chronic disease management. Across the globe, it has been found that 14 million new cases of cancer were registered in 2012 as per the World Health Organization. This number is expected to rise up to 24 million by 2035. The growing prevalence of infectious diseases, cancer, and cardiovascular disorders are expected to to continue to drive the demand for on-site preventive care. In the recent past, many of the workplace Wellness programs have seen an increase in the uptake so much so that on-site preventive care has become the most popularly adopted Health Care Services across the globe. It is anticipated that this Market will grow further and benefit extensively from the implementation of the Affordable Care Act which promotes employer-based coverage of workplace Wellness. another benefit of on-site preventive care is that employees have high morale on account of cost savings with regards to medical expenses and this increases their productivity in performance in their work place which ultimately benefits the company or Organization for whom he or she is working. On-site preventive care provides treatment to employees in their work place. These on-site services help to reduce the rate of services used by the employees on off-site preventive care. The services administered by the on-site preventive care lowers risks of future diseases in the employees. It monitors their current physical routines, vaccinations, and screens their health problems for example hypertension, anxiety, and so on, figuring out the future possibilities of illnesses. Owing to this, there are various kinds of service types with respect to on-site preventive care. The global on-site preventive care market is segmented on this basis of type, application and region. 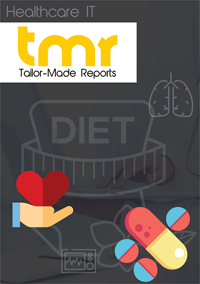 Based on type, the market is categorized into chronic disease management, acute care, nutrition management, wellness and coaching, diagnostic and screening, and others. As per application, the global market is divided into homecare and hospitals. Acute care is a branch of secondary healthcare services in which the particular patients receive an immediate but short duration treatment for severe injury or illness episodes such as epilepsy. It is also provided at times of urgent medical scenarios or at the time of surgery recovery mode. In medical terms to be specific, the manner in which the acute conditions are treated, is completely opposite of long-term care of chronic illness services. These services are usually given by the teams of well-trained and specialized healthcare practitioners from a range of medical and surgical specialties. During the acute care treatment, the on-site preventive service health specialists may admit the patient in the ambulatory center, urgent care center, and the emergency department. The increase in number of chronic diseases all over the world has stimulated the demand for chronic disease management in on-site preventive care centers. The rising cases of infective diseases, cancer, and heart diseases is anticipated to fuel the usage of this service in forthcoming years. Geographically, the United States is among the key nations which has adopted acute care services in its on-site preventive care departments. A federal law known as Emergency Medical Treatment and Active Labor Act (EMTALA) demands most number of healthcare centers to run an inspection, along with a stabilizing treatment, lagging the consideration of the ability to pay and the insurance coverage, when a patient is admitted to an emergency room for instant attention, treatment and care. Several firms all over the world are adopting on-site preventive care so as to limit the current prices of their medical services.